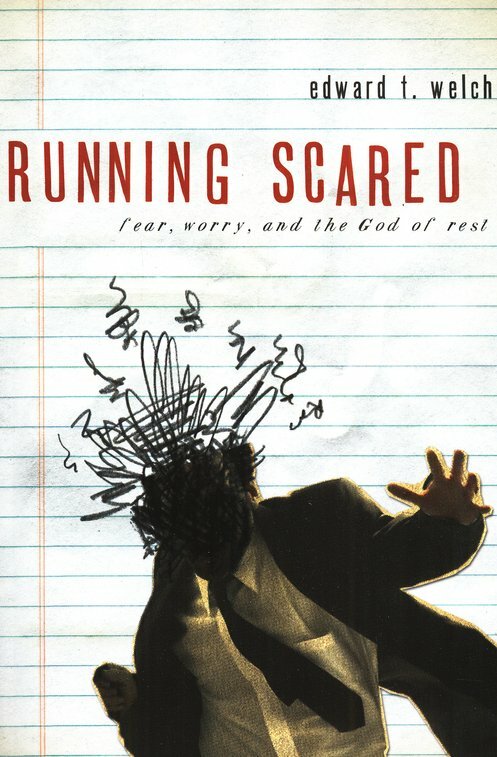 Edward T Welch, Running Scared: Fear, Worry, and the God of Rest, New Growth Press: 2007. Welch is a part of CCEF (Christian Counselling & Educational Foundation) and this book is a great advert for that organisation. Biblical, pastoral, conversational, honest, deep, practical. Helping you dig to the roots of your fears – not as an exercise in introspection but as an exercise in applying the gospel word. The trick is to listen carefully as “fear speaks” and tells you what you think you need, what your idols are, where your treasure is, where you are putting your security, who you think is in control, what you think God is like. Welch blows away all our normal strategies. You can’t reason your way out of worry. Although CBT-type approaches can be part of the answer, worry is strangely impervious to sensible arguments, evidence and statistics. You can’t claim a promise from God that nothing bad will ever happen to you. You can’t claim a promise that you will not die or even that you will always have your physical daily bread provided. So how can we face fear? Over 300 times in Scripture God tells his people not to be afraid. And what Welch does does so well is show what that repetition tells us about God. Welch’s discussion of the implications of God making an oath to man (Heb. 6:16-18) is simply brilliant. It is the presence of a parent that reassures a scared child, it is the presence of a friend that takes away aloneness, it is the presence of a strong protector that takes away the terror. We need to personally know this God. What we need is the fear of the Lord, a vision of His holiness, to be enthralled by his beauty, to be made more like Christ. We need grace to love God and love others. What is so helpful about Welch’s book is that he (to steal an expression from Dale Ralph Davis) rubs the Word of God into the reader like a cook rubbing salt and pepper into a piece of meat. Just as God know that we won’t get the message the first time, so Welch follows that cue and goes over these themes of the Word of God, the presence of God, the sufficiency of God again and again, from different angles, from different passages. This can mean the structure of the book is not always easy to follow but it does mean that it works really well as a devotional to read a chapter a day and then, when you get to the end, to start at the beginning again. Which is what I intend to do. Welch has also produced a free pdf workbook – When I am afraid: A step-by-step guide away from ffar & anxiety – which takes you through the self-diagnosis to get to the bottom of and start tackling your personal fears. It’s designed to be used with the full book but there’s enough text and Scripture in it to make it a helpful resource in its own right. Tags: Corrie Ten Boom, Edward T Welch, fear, rest. Bookmark the permalink.